The first edition was published in February 1998. There was no big splash. Lou and I celebrated, then went back to running Argus. It wasn’t until year’s end when sales soared and it was named Amazon’s Best Internet Book of 1998 that we knew we were onto something special. The “polar bear book” went on to sell over 250,000 copies. Despite this success, we had to close our firm in the wake of the dot-com collapse. It was a difficult time, but as we traveled to conferences around the world, we heard heart-warming stories about the impact of our book. Time and again, people told us “your book changed my life.” This inspired us to put all we’d learned over the years into a second edition in 2002. 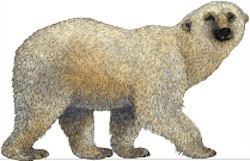 At 496 pages, this was one fat and happy polar bear. Then, mobile and social took center stage, and folks began predicting the death of information architecture and the end of information architects. O’Reilly wanted to respond. But Lou was building Rosenfeld Media, and I was busy with consulting. We compromised by adding tagging and folksonomies to a third edition in 2006. Eight years pass. The field of user experience gains traction in the media and c-suite, but many practitioners lack a solid grasp of information architecture. We decide to write a fourth edition with Jorge Arango that tackles “the web and beyond.” It covers mobile, cross-channel, finding, understanding, and places made of information. And the polar bear of 2015 is colorful and slim. It’s designed to engage a wide audience. I’m proud to have written a text that’s endured for two decades, but what really makes me happy is the context. Our work has never been more interesting and important, and our community never more vibrant. Euro IA, IA Summit, World IA Day and all the books offer but a glimpse below the surface where information architecture, user experience, and service design are intertwingling with strategy, governance, and culture. 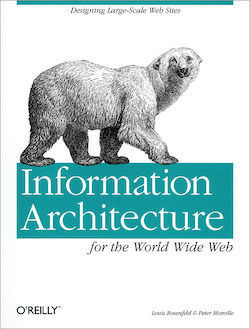 It’s fun to recall the history of information architecture, but I’m far more excited about its future.